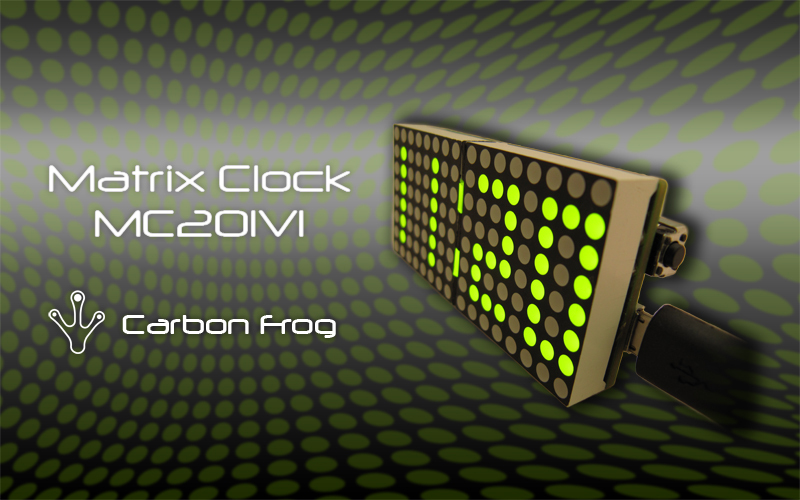 The Matrix clock is a single board, Arduino compatible clock that displays the time on an LED matrix display. Based on the Arduino Leonardo, the Matrix Clock is fully compatible with the Arduino IDE and can be easily updated or customised with new sketches and then uploaded via a USB Micro cable. 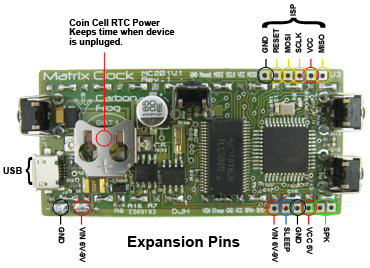 A coin cell powered Real Time Clock Calendar keeps track of the time and date when the unit in not powered. 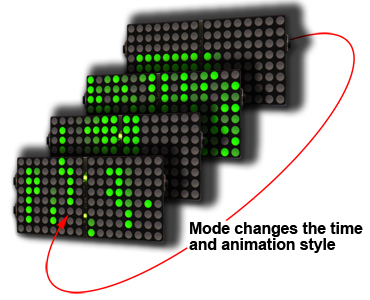 The Matrix Clock can also play musical alarms that can be easily reprogrammed with different tunes. Due to its compact form factor the Matrix clock could be fitted in any number of housings even a pocket watch style housing. If portability is desirable then the unit can be battery powered. A sleep function is available (by taking one of the expansion pins to ground) in order to extend battery life. 2 power inputs, USB Micro connector or 6V - 9V DC in. (Normal powered by Vin switches when USB power is present). 66mm wide x 32mm high x 20mm deep.